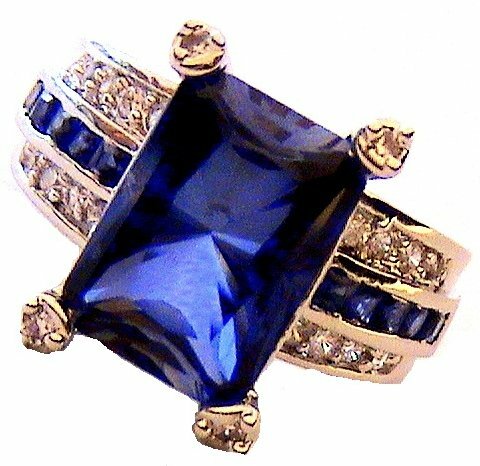 LA JOLLA BLUE SAPPHIRE CZ RING - Exclusive! This is a SPECTACULAR SAPPHIRE CZ! 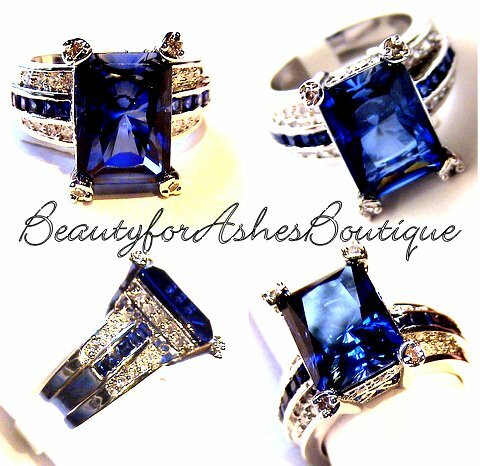 Super Sparkly and RARE to find such remarkable quality in this size sapphire cz. Its size is 3/8 inch x 5/8 inch, (10mm x 15mm) and has an emerald-cut sapphire CZ. Prongs each carry a mini clear cz! The prong-set shank shimmers with sapphire and clear micro-mini gems. Thick White Gold Rhodium Plating! Make an excellent gift, great for all occasions! Size 6, 7, 8 or 9.